The eye is one important sense organ and part of the human body. It enables vision, of which without it, it will be quite difficult to carry out most tasks in life. Even as important as the eyes are, it is quite easy for humans to take their eyesight for granted until something serious that poses a threat to it occurs. You would not want to find yourself in such a situation. Let me show you the five most common eye problems that can affect your vision and some possible tips you can adopt to prevent them. The Problem: The mechanism of vision involves light rays coming from the objects in view, which must pass through your lens to reach your retina's light sensing cells. When a cataract cloud is formed around the lens, your vision fogs since the normal passage of light rays have been altered. Prevention: The best way of prevention is to protect your eyes with lenses that blocks both UVA and UVB light and also avoid or quit smoking in totality. It is also necessary for you to control your blood pressure, watch your weight and manage diabetes as well. The Problem: Your retina performs the function of transforming light into signals your brain can process. 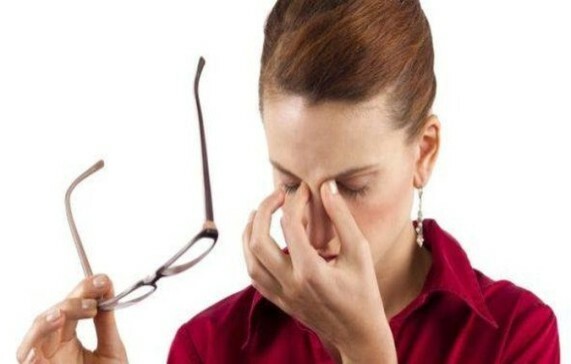 When you are suffering from diabetes, it can swell your retina and make blood vessels leak or grow, causing blurring, flashes, floaters, pain and pressure. Prevention: You should endeavour to go for yearly dilated eye exams to detect diabetic eye problems early enough and take positive actions. This can prevent or slow vision loss. Controlling your blood glucose level and blood pressure is also very important. The Problem: For central vision, you do rely on light-sensing cells in the macula, the center of your retina. In age-related macular degeneration (AMD), tissue breakdown or blood vessel growth in the macula makes it difficult for you to see faces, read, drive and so many other vision impairment. Prevention: Smoking doubles your risk of macular degeneration as you age, so you should try and avoid it. Always engage in exercise, control your blood pressure and cholesterol levels, then eat lots of green vegetables and fish. The problem: On normal condition, the space within your eye should be filled with the right amount of fluid. Pressure from too much fluid damages the optic nerve, causing harm on your peripheral and then central vision. Prevention: Always have an appointment with your eye doctor so as to keep your eye pressure in check in order to avoid losing your vision. The Problem: In normal condition, your eyeball, cornea and lens must have the right shape for light rays to be able to bend (refract) and land on your retina, and then passes on to the brain. If this process does not occur, then it results in blurred vision. Age-related difficulty focusing up close (Presbyopia): Light rays overreach the retina, making reading and other close work a challenge. Prevention: You should go for eye exams annually before you get to 18 years and after the age of 65, and every two years in between that age range. The situation may be different if you are experiencing a medical eye problem that needs frequent attention. Since the eye is an important sense organ, it should not be neglected because the consequence will be faced by us. If you think this information is important, kindly share this post with your friends on various social media by using the share buttons below.